Jonathan A. Wilson, Ph.D., RN, CEN, CHEP, is a nationally recognized leader in nursing and health care. He is the chief administrative officer at the University of Mississippi Medical Center. UMMC is Mississippi’s only academic health sciences campus and the state’s primary provider of advanced tertiary and quaternary care. Its seven professional schools enroll over 3,000 students in 28 degree programs and employ over 9,000 Mississippians. At UMMC, Wilson coordinates the administrative services at the Medical Center including the Mississippi Center for Emergency Services; Office of Planning, Design and Construction; Campus Police Department; and Office of Physical Facilities. He serves on several local, state, and national workgroups associated with the delivery of emergency and disaster health care services. This work includes the planning for and response to various incidents such as hurricanes, tornadoes, floods, earthquakes, terrorist attacks, infectious diseases, and other emerging threats. Wilson is a native of Brandon, Mississippi, and graduate of the University of Mississippi. 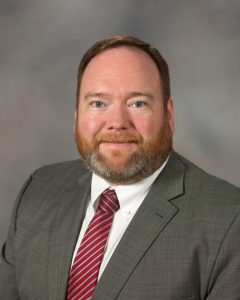 He is an active member of the Mississippi Nurses Association, American Nurses Association, Emergency Nurses Association, Air and Surface Transport Nurses Association, Sigma Theta Tau, Nu Beta Chapter, and Ole Miss Alumni Association.